Intermediate health and safety involves reducing the risks of accident and ill health associated with work activities, whether they affect employees, employers, the self-employed, visitors or the public. 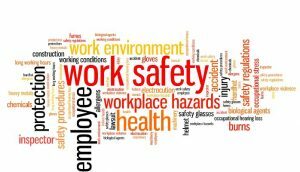 A supervisor has a legal and moral responsibility to look after the health and safety of employees, but needs to have the knowledge and skill to be able to do this effectively. This training programme provides an opportunity to look more deeply into general health and safety from a supervisory perspective, and successful candidates will be able to help their organisation whatever the size or activity in improving the health and safety culture. Provide understanding of the main concepts of health and safety. Promote the benefits of health and safety culture. Clarify the roles and responsibilities of individuals, supervisors and management in health and safety. Provide an understanding of health and safety control and Improvement strategies available to supervisors. A. Concept of health & safety. Understands the main concepts of health & safety and control measures necessary to prevent accidents. Incidence of illness and accidents. Health & safety factors and how to use them. Costs of poor health & safety. B. Accidents in the workplace. ‘Near misses’ and the accident triangle. Nature of illnesses and disease. Monitoring of health & safety. E. Health & safety organization and management. Introduction to health & safety management. F. Supervising health & safety. The role of the supervisor. Working with management.Course length: 3 days. Qualification achieved: Intermediate health and safety certificate. Cost: £150 per person + VAT. Click here to download Intermediate health & safety syllabus.